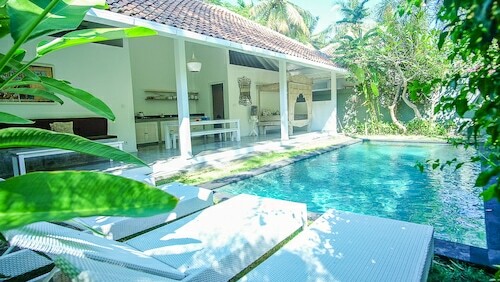 Nestled on the beach, this Senggigi villa is within 1 mi (2 km) of Senggigi Beach and Art Market Senggigi. Pura Batu Bolong and Nipah Beach are also within 6 mi (10 km). Situated near the beach, this villa is within a 10-minute walk of Gili Trawangan Turtle Hatchery and Gili Trawangan Harbor. 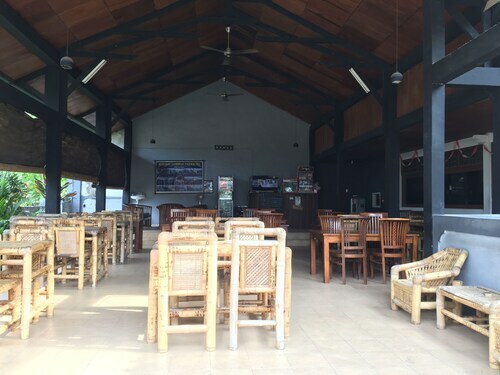 Public harbour ticket office and Gili Trawangan Hill are also within 1 mi (2 km). 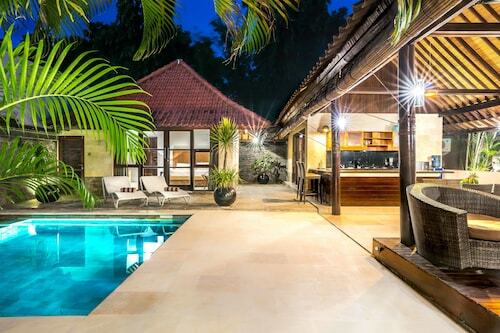 Situated in Gili Air, this villa is 0.7 mi (1.1 km) from Gili Air Docks. Situated near the beach, this villa is 0.9 mi (1.5 km) from Gili Trawangan Turtle Hatchery and 1.3 mi (2.1 km) from Gili Trawangan Harbor. Public harbour ticket office and Gili Trawangan Hill are also within 2 mi (3 km). Nestled on the beach, this Gili Trawangan villa is 1.3 mi (2.1 km) from Gili Trawangan Turtle Hatchery and 1.7 mi (2.7 km) from Gili Trawangan Harbor. Public harbour ticket office and Gili Trawangan Hill are also within 2 mi (3 km). Situated by the ocean, this villa is 0.1 mi (0.1 km) from Gili Air Docks and within 3 mi (5 km) of Gili Meno Harbor and Bangsal Harbor. Gili Meno Bird Park and Gili Meno Lake are also within 6 mi (10 km). 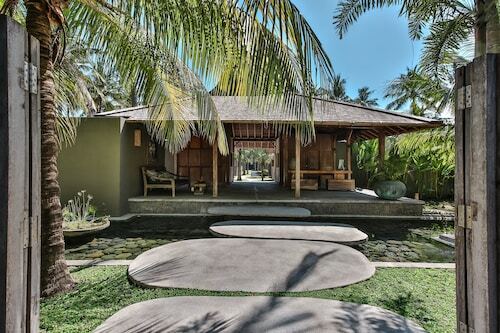 Situated near the beach, this villa is 2.9 mi (4.6 km) from Gili Meno Bird Park. 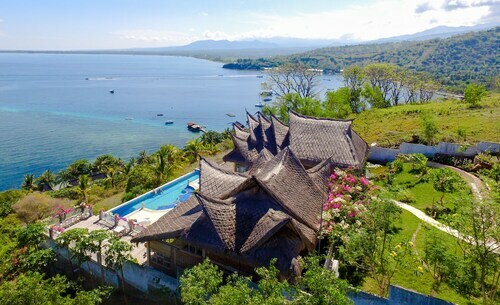 Situated near the beach, this villa is 1.1 mi (1.7 km) from Gili Air Docks and within 3 mi (5 km) of Gili Meno Bird Park and Gili Meno Lake. Gili Meno Turtle Sanctuary is 3.1 mi (5 km) away. 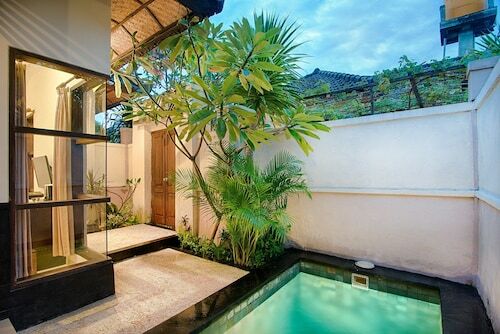 Situated in Gili Trawangan, this villa is within 1 mi (2 km) of Public harbour ticket office and Gili Trawangan Harbor. Gili Trawangan Turtle Hatchery and Gili Trawangan Hill are also within 15 minutes. 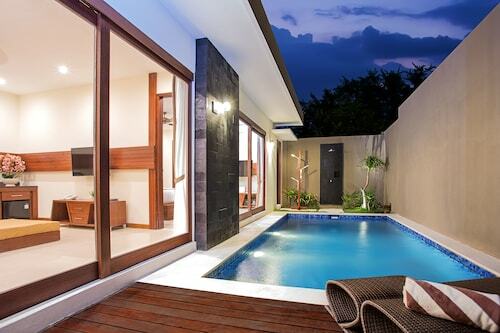 Situated in Gili Meno, this villa is 0.1 mi (0.1 km) from Gili Meno Lake and 2.8 mi (4.5 km) from Gili Trawangan Harbor. Gili Meno Bird Park and Meno Wall Dive Site are also within 10 minutes. 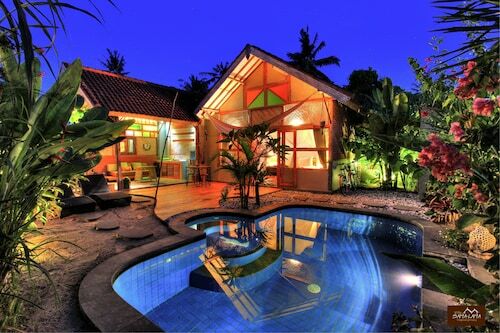 Situated near the beach, this villa is 0.6 mi (0.9 km) from Gili Trawangan Turtle Hatchery. 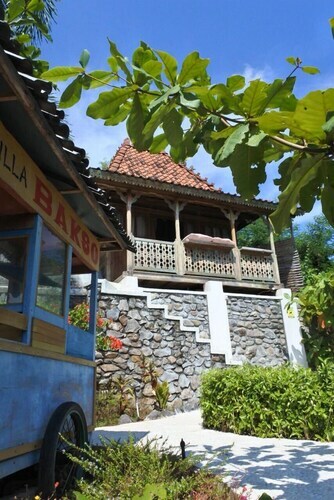 Situated by the sea, this villa is within 3 mi (5 km) of Senggigi Beach, Art Market Senggigi, and Pura Batu Bolong. Nipah Beach and Islamic Center NTB are also within 12 mi (20 km). 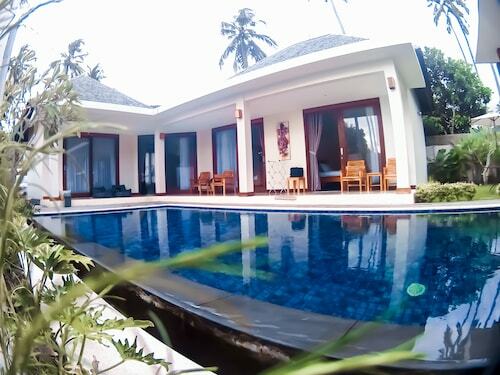 For your next batch of annual leave, holiday in style in one of our private villas in Pemenang. All you need, friend, is a reason to go and Wotif to help you get there. Pemenang villa holidays are especially popular with families, large groups, couples…wait, that’s just about everyone. It’s easy to see why: Villas allow you plenty of space to spread out and do your thing, whether you’ve got ten people or two. Planning for a wedding, and need to make sure Grandma, Aunt Liz, and your second cousin aren’t all on top of each other? 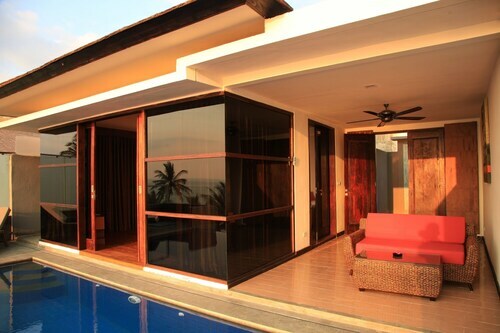 A villa has you covered. Going on a romantic couple’s getaway, and just want to feel like you have a whole, secluded paradise to yourselves? 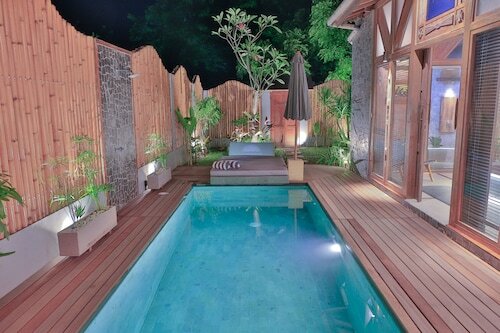 Pemenang villas were basically made for that. 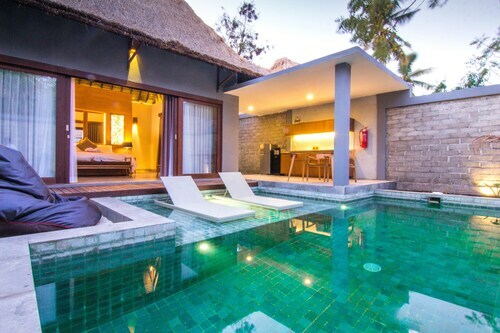 The phrase “luxury villa” may seem redundant, because pretty much all Pemenang villas are luxurious. But when you add that extra word, a whole new world opens up to you. Incomparable service, extra amenities, and features like pools, steam rooms, gyms, and even in-room massage are all on the menu when you step up the star rating. But no matter your price range, you’ll find what you need right here on Wotif. We have to warn you, though, you may not want to browse while you’re at work. You’re liable to start daydreaming so hard, you’ll miss your next meeting. Situated in Pemenang, this golf hotel is 0.1 mi (0.1 km) from Autore Pearl Farm and Showroom and within 6 mi (10 km) of Bangsal Harbor and Nipah Beach. 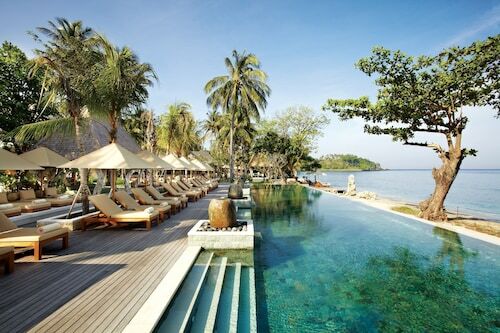 Sire Beach Golf Club and Lombok Elephant Park are also within 9 mi (15 km). 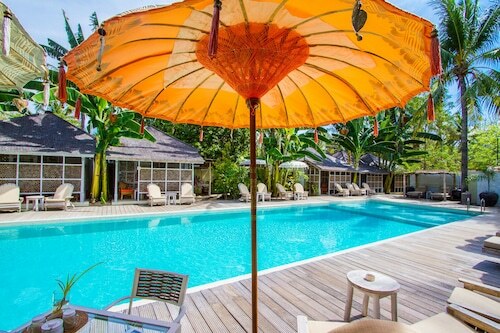 Situated in Pemenang, this bed & breakfast is within a 15-minute walk of Bangsal Harbor and Gili Air Docks. Autore Pearl Farm and Showroom and Sire Beach Golf Club are also within 6 mi (10 km). 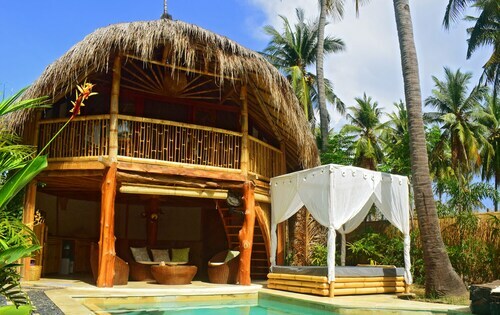 Offering direct access to the beach, this Pemenang resort is 1.8 mi (2.9 km) from Autore Pearl Farm and Showroom and 3 mi (4.9 km) from Nipah Beach. Bangsal Harbor and Sire Beach Golf Club are also within 9 mi (15 km). Situated near the beach, this villa is 0.1 mi (0.1 km) from Autore Pearl Farm and Showroom and within 6 mi (10 km) of Bangsal Harbor and Nipah Beach. Sire Beach Golf Club and Lombok Elephant Park are also within 9 mi (15 km).